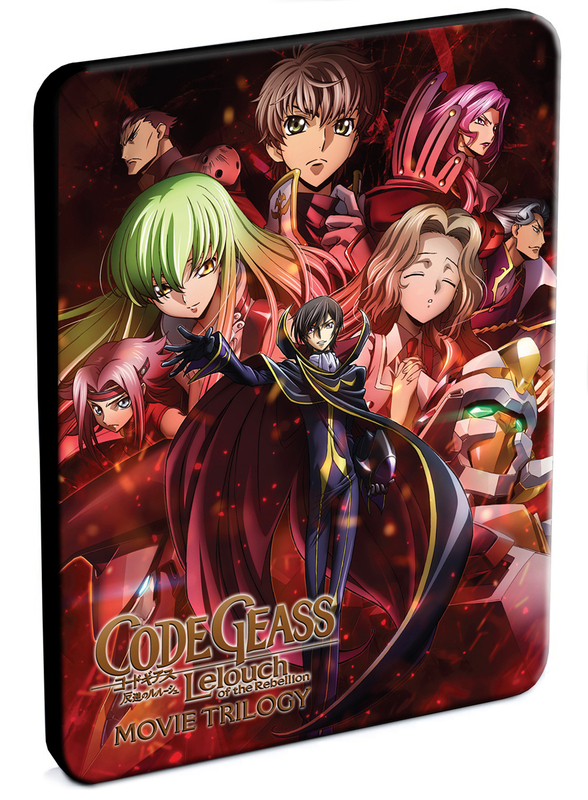 Code Geass Lelouch of the Rebellion Movie Trilogy Steelbook contains the movies Initiation, Transgression, and Glorification directed by Goro Taniguchi. The year is 2017 of the Imperial calendar and parts of the world are under the control of the Holy Britannian Empire. Lelouch Lamperouge, an exiled Britannian prince, encounters a strange girl known as C.C., who gifts him with a great and terrible power. The Geass. With this powerful ability, Lelouch can get anyone to do as he wills. 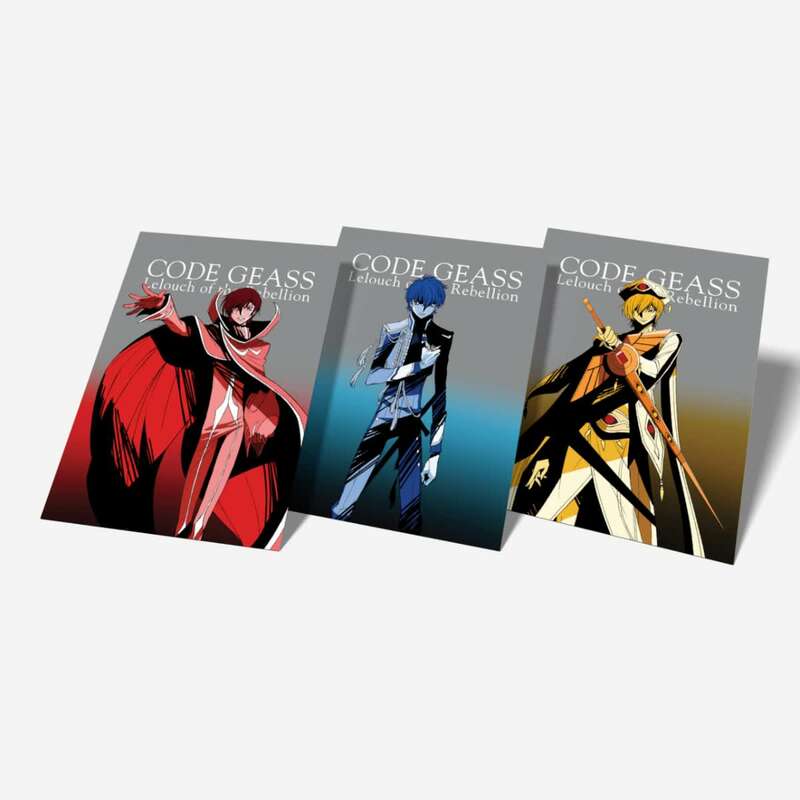 But the power of Geass: is it a blessing...or a curse? 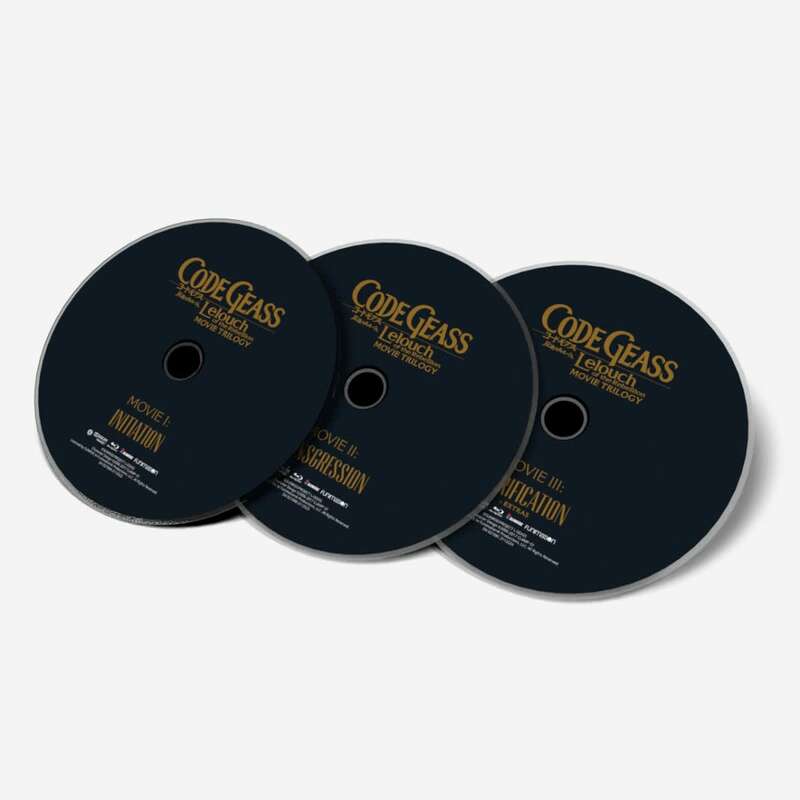 This product only contains 3 blu-ray disc housed inside a beautiful steelbook. Unlike a traditional cardboard slipcover, this steelbook can certainly endure some rough handling before getting damaged. 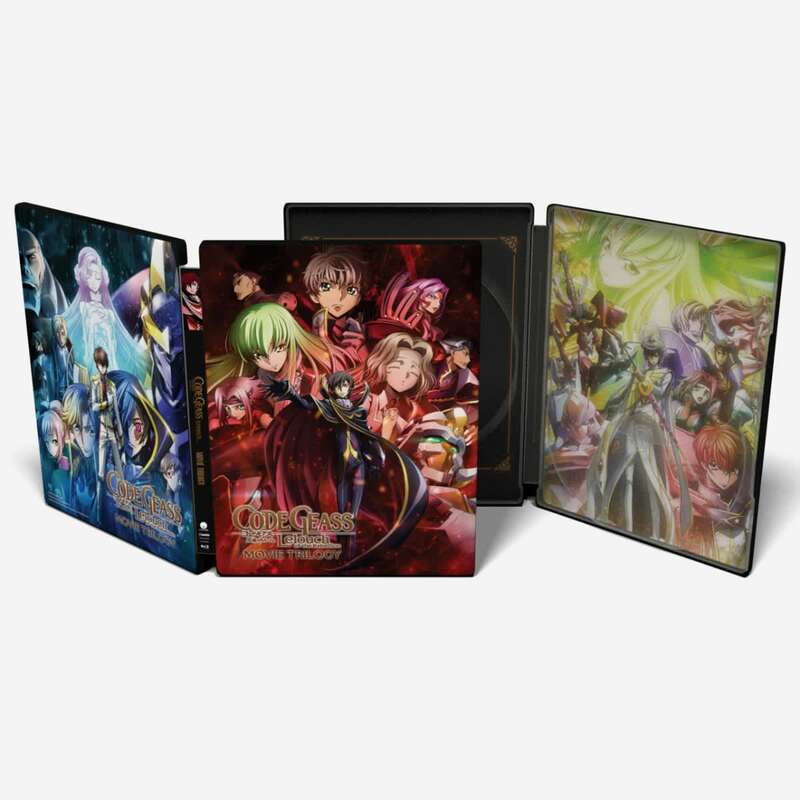 Given the price for 3 movies, a very nice and strong container for the disc, and 3 special art cards, it is totally worth the money. Given how well the product is priced, it is still kinda disappointing that there were just 3 artcards and the cards themselves weren't even as amazing as it could have been. Though the case housing the disc is a sturdy metal box I would beware of sharp objects and scratches. The steelbox can be easily scratched and the pretty cover would just peel off! 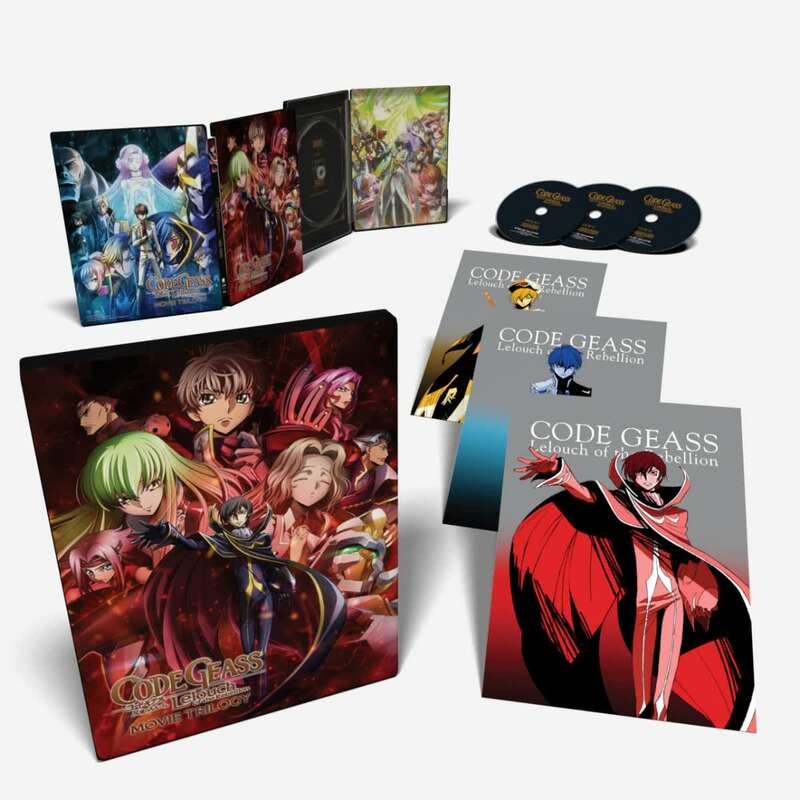 Overall, as a Code Geass fan I would recommend the movies because of its slight difference from the series and given the price its nothing short of a steal!